Eric Armusik, (b. 1973) paints classical figurative art reminiscent of the Old Masters. His paintings are a declaration to the dramatic power of representational art and a testimony to the tradition of epic storytelling. The origin of his inspiration does not lie in academia, but rather his childhood, surrounded by the vivid paintings he gazed upon in Gothic cathedrals as a child. Eric is never satisfied with just painting a well-rendered figure; he aspires to paint a profound moment, a glimpse into the tragic or sublime human experience that transcends culture, religion and time itself. If you're considering commissioning or purchasing an original piece of figurative art, you can seek out a myriad of academic painters that will satisfy your needs. If you desire a painting that transcends a mere figure and celebrates the beauty and depth of the human experience, you've come to the right website. Eric Armusik is passionate about painting complex, dramatic narratives that celebrate both the joy and sorrow of the human experience. His realist art resonates with the viewer on a visceral level by illuminating the universal struggles and triumphs of life's journey. Welcome to ericarmusik.com. 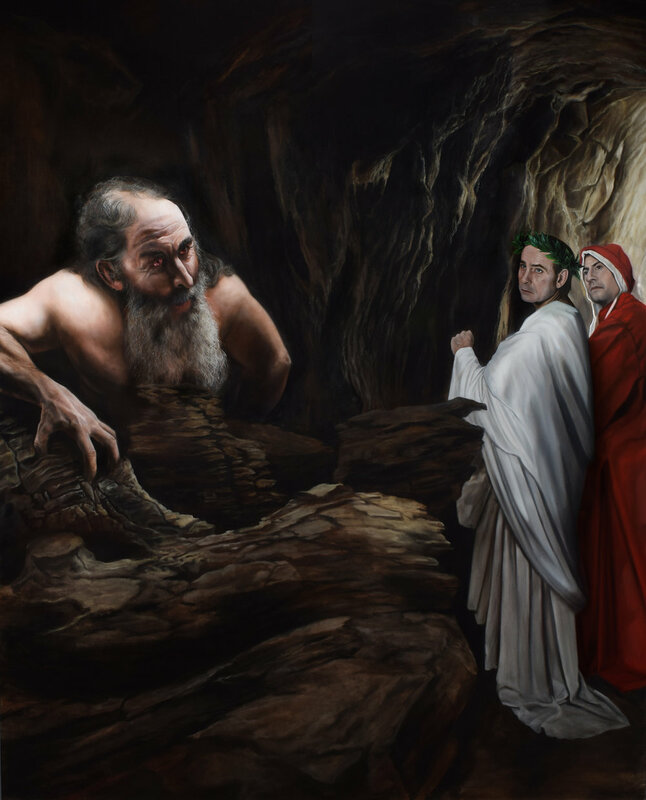 Here you will find information about Eric's epic Dante's Inferno series, Eric's figurative paintings and drawings as well as his selection of art books, original charcoal drawings and limited edition prints available in his web store. BOOK YOUR FALL WORKSHOP INTENSIVE NOW! A new year is here and it's an excellent time to up your skills and get your art career heading in the right direction for 2019. Eric is booking individual workshop intensives with many realist artists from across the country. Take advantage of Eric's 25 years of experience as a painter and a marketer and salesperson of his own artwork and act now! Check out Eric's new YouTube video on his channel and check back often for behind the scenes videos of his paintings and inspirational videos for artists in his "Truth About Being and Artist Series"
I’ve been invited to do a workshop in California this August! The workshop is filling up fast. Only 5 more spots available. Click the image below to book your reservation!